Buying a new property ?, do you rent out properties ? or simply want to know your electrical installation is safe and up to current standards ?. 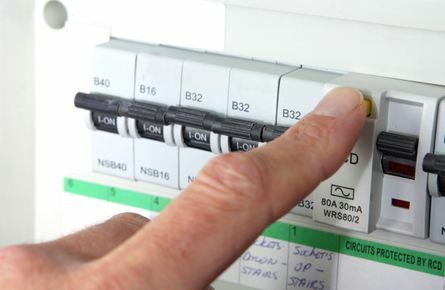 You can with the help of our specialist electricians in Darlington, County Durham. 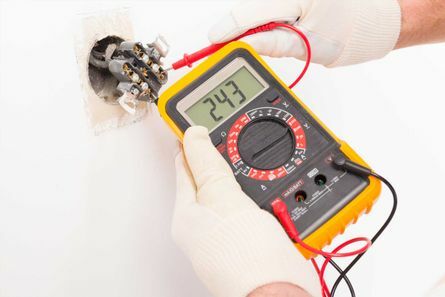 Offering complete electrical testing services, our team provide visual inspections, full condition reporting and PAT testing for your peace of mind. This is perfect if you have just moved into a new property, as you may want to test the condition of the electrical equipment. It’s also a great option for commercial clients to maintain safety and adhere to regulations. Don’t leave it to chance; choose our dependable team for all your safety testing needs. From revealing when circuits are overloaded to finding wiring problems, an EICR tells you the condition of your electrics. Regulations recommend that you have one at regular intervals, as the status of your electricity systems will deteriorate over time. For an occupied home, it’s usually required every 10 years, or when you are selling your property. Letting agents and landlords may need to have one every five years. You should also conduct a report every time a new tenant arrives, to ensure that your electrics were not damaged by the previous tenant. The reports are not compulsory. However, if something goes wrong in your tenanted house, you may be liable if you cannot prove you have had them tested. These reports may also lower insurance premiums., so they are incredibly beneficial. There are no broken or missing electrical equipment and accessories. There is no access to live parts without the use of a key and/or tool. There are no signs of burning at any of the electrical equipment. Protective main bonding is in place to incoming extraneous services. That the condition of the meter tails, consumer unit(s), and supplier’s equipment is satisfactory. The report is essential if you are buying a new house, as it shows the condition of the electrical services. 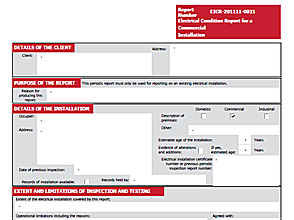 It’s also used where an electrical installation certificate or electrical installation condition report (EICR - Periodic Inspection Report) exists, and any recorded C1 and/or C2 codes have been rectified. If any unsafe items are detected or you want a more details report then an EICR should be carried out. All reports and certificates are computerised. This ensures that a permanent record exists if you misplace your own copies. CONTACT US, in Darlington, County Durham, to obtain more information on our electrical and PAT testing services.